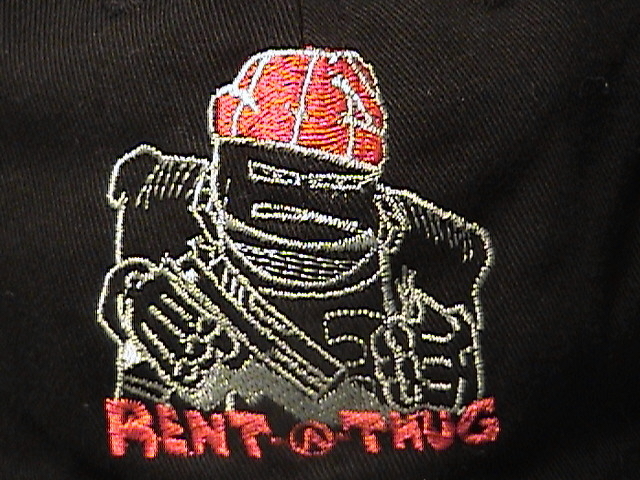 Welcome to the Black Market, your one-stop shop for official Rent-A-Thug merchandise. NOTE: Right now the online store function isn’t working properly, so I’ve removed the buttons entirely. You can still place orders, but you’ll have to do so by emailing jeff@rentathugcomics.com. Sorry for any inconvenience. 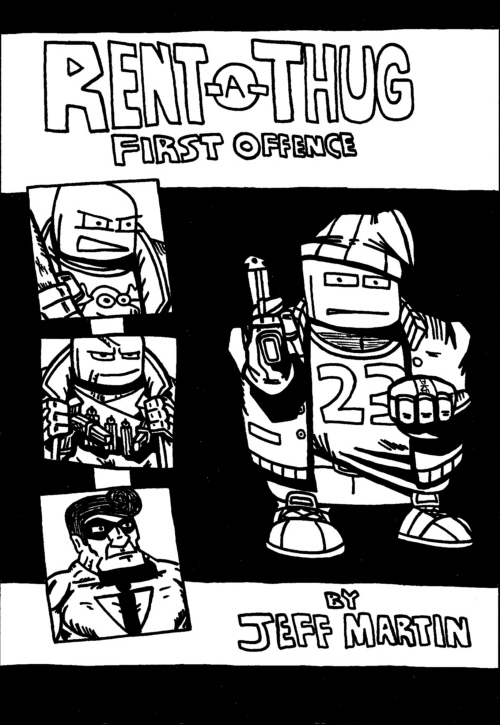 The first Rent-A-Thug print comic, First Offence, can be yours in all of its black and white glory for only five bucks! First Offence features 36 pages of the antics of your favourite homicidal goons. Four stories featuring Charlie No-Aim, G-Fresh, Rastovich, Mr. Nixon, Sticky Mickey, and more! Available online at Heavy Ink.com. 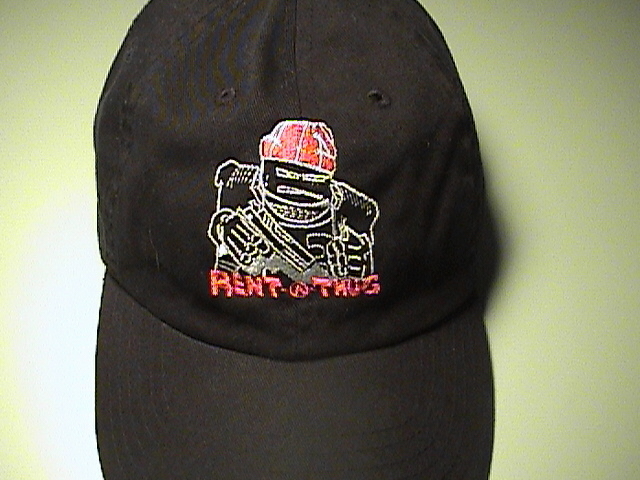 Official Rent-A-Thug baseball cap. 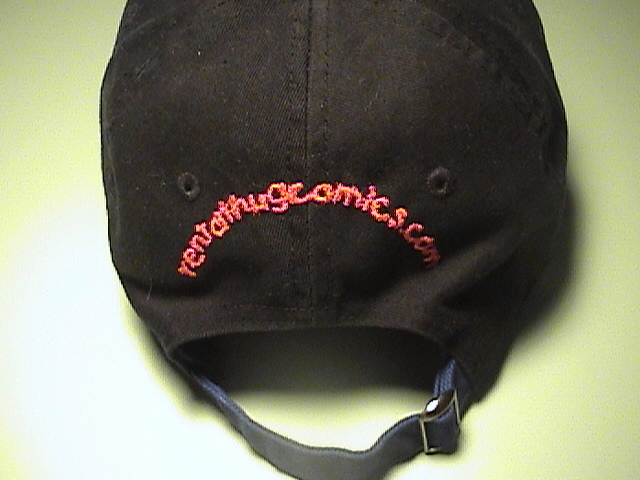 This stylish head-topper is black with blue trim and features G-Fresh stitched on the front and rentathugcomics.com stitched on the back. Adjustable strap means that one size fits all. Click on the images below for a bigger picture.